In the year 2199, the Gamilon race declares war on humans, intent on taking Earth for themselves. The fighters on Earth do everything in their might to keep the planet stable, but alien technology proves to be far too advanced, and the resulting destruction renders the surface of planet Earth completely uninhabitable. The underground shelters are also becoming weak, and if nothing changes, humans will become extinct in less than a year. But just when all seems lost, Queen Starsha from the planet Iscandar offers a helping hand. The key to victory lies in the Cosmo-Cleaner D, which can eliminate the radiation that Earth is suffering from. However, the only way to get a hold of this life-saving device is if someone from Earth goes to Iscandar―148,000 light years away―to retrieve it. The problem is, they have less than a year before time runs out. 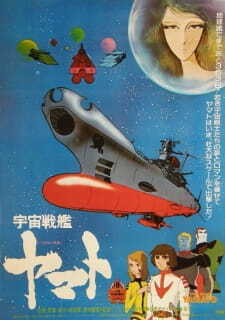 The fate of the entire human race lies in the hands of the crew of a salvaged WWII craft, the Space Battleship Yamato.